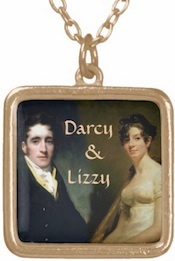 For the past few days, while I wait for the print version of Darcy and Elizabeth: A Season of Courtship to be delivered so I can review it for final publishing, I decided to have a bit of fun. Creativity in various ways appeals to me, so I set up a store on Zazzle. Man, can a girl go crazy over there or what? I have had a blast! These images are a very small sampling of the 150+ gifts available for purchase. Surely you can find something you like, yes? LOL! If you want something in particular, I’ll try to provide it. Let me know! ← Darcy & Elizabeth: A Season of Courtship is RELEASED! I would love to own some of the items that you have. Too bad my wallet doesn’t allow it.